The Croatian Accountant Association in cooperation with the RRiF College of Financial Management, Zagreb invites you to its 20th International Conference "Accounting and Management" which will be held in Pula, Croatia from 13-14 June 2019. The conference welcomes academics (professors, assistants and researchers specialized in the field of accounting and management) as well as corporate executives and economists. The goal of the Conference is to publish and present scientific and professional papers, to exchange experience and to contribute to the development of accounting and management in the EU countries and the countries in the region. The participants can attend the conference as authors of papers or attendants taking part in discussions. 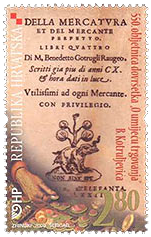 The official languages of the Conference are Croatian and English. This year the Conference will be held in Pula. Pula is a three-thousand-year-old city situated on seven hills. 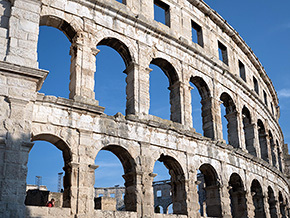 Its amphitheatre is the largest and the best preserved monument of the ancient times in Croatia. Gladiator and knight battles were orginized within the amphitheatre in the distant past and today it represents the most beautiful open air stage in this part of Europe. 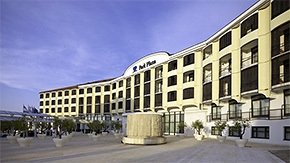 The Conference will be organized at the Park Plaza Histria Hotel on the penninsula of Punta Verudela. The area offers a large number of beaches, sports facilities and swimming pools. One of the most beautiful aquariums in Croatia – the Aquarium Pula is situated in the nearby fortress of Fort Verudela. Contact for booking a hotel room: www.arenaturist.com (promo code: RIM2019). All the submitted conference papers will be reviewed and those accepted for presentation will be published in the Conference Proceedings. The selected papers will be published in the "Journal of Accounting and Management". Please, submit your abstract (of no more than 900 characters) with 5 key words and Application form (in attachment) until 15 March 2019 via e-mail: info@hrvatski-racunovodja.hr. Full papers of no more than 10 single-spaced pages of text (font: Times New Roman, size=12) including graphs, tables, endnotes and references are to be sent until 31 May 2019. The authors will receive detailed writing instructions after the abstract submission. The paper of more than 10 pages will be charged at 10 € per additional page. All the submitted papers will be evaluated for presentation and publication until 15 March 2019. The final paper submission deadline: 5 May 2019. The categories which best fit your paper are to be typed below the abstract. The authors should send the Application Form via e-mail until 15 February 2019 and other participants until 31 May 2019. The Conference Programme will be announced.